He stood there staring at her. Her cheeks were red, and her chest was heaving in anger. And at that moment, he thought she never looked more beautiful. More than anything, what he really wanted to do was go over to her, take her in his arms and kiss her until she sighed with pleasure. But she was highly pissed, so he knew he’d have to tread lightly. She held up her hand to stop him. 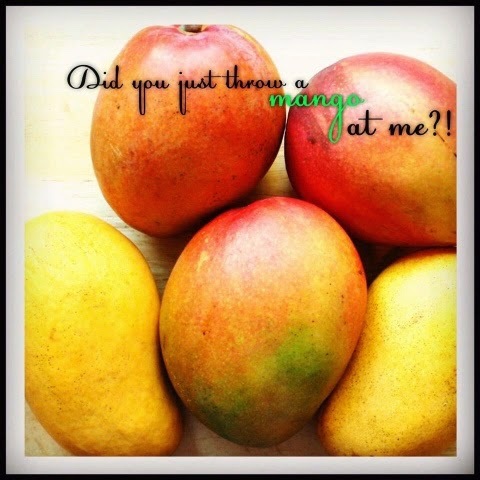 The next thing he knew, she was picking up a fruit from a bowl on the kitchen island, and tossing it at him. He ducked out of the way, and then looked over his shoulder at the smashed fruit on the wall. He turned, wide eyed, and looked at her. She picked up a slice of pizza and threw it at him. Then she grabbed the glasses and started throwing them at his head as well. “Alright! I’m leaving!” he said, backing away with his hands up to protect his face. Finally he stood outside the door of her house, staring at the door, wondering what the hell had just happened.